Real-time monitoring and analytics reduces cost of manual inspections, tightens supply chain. 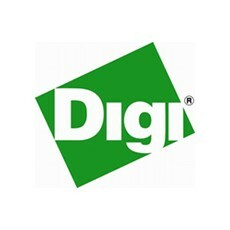 Digi International (NASDAQ: DGII) today launched Digi Connect® Tank, a fully integrated, cellular-enabled remote tank-level monitoring solution for single tanks, totes and containers. Digi Connect Tank, the latest addition to Digi’s family of solutions for tank monitoring, helps companies manage remote single tank assets efficiently and cost effectively through up-to-the-minute tank level and location data. Automated tank data and real-time analytics decrease the need for manual inspections at remote tank sites. This automation results in fewer field service trips to remote tanks limiting accidents and insurance liability costs, while decreasing fuel and fleet costs. Real-time analytics enable a more predicable supply chain, so inventory levels can be tightly monitored and managed. Remote visibility of inventory levels ensures that tanks do not run out or overflow, providing customers with exactly what they need when they need it. “Digi Connect Tank dramatically reduces our customers’ cost to remotely monitor a large number of single-tank locations,” saidKim Pearson, CEO of New Boundary Technologies, a solution provider for tank monitoring. Digi Connect Tank is ideal for oil, waste oil, chemical, water, wastewater, agriculture and other inventory level monitoring applications. It features both CDMA and 3G GSM cellular technologies, an integrated ultrasonic sensor by Massa Products Corporation with non-contact liquid level, integrated GPS, a durable NEMA 4X enclosure and long battery life (2-3 years with normal usage). Digi Connect Tank seamlessly integrates data streams into Device Cloud by Etherios™ enabling companies to quickly connect and manage their remote assets using any application. Device Cloud’s open architecture makes it easy to connect with any device and provides organizations with a secure platform to remotely manage and control their devices in the cloud. Leveraging Device Cloud’s APIs, Digi Connect Tank is able to report data only as needed (such as a low-level alarm), limiting costly cellular data charges. “Digi Connect Tank fills a distinct need we see in the market through a great deal of field experience. Monitoring single remote storage tanks can be expensive, inefficient and dangerous,” said Kevin C. Riley, senior vice president of sales, Digi International. For more information about Digi Connect Tank, visit www.digi.com/tank. For more information about Device Cloud, visitwww.etherios.com/devicecloud. Etherios, a division of Digi International, provides custom application development and integration services to speed time to market of tank solutions.